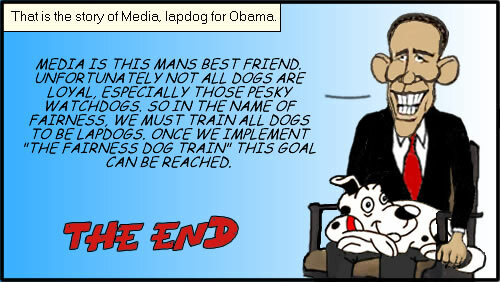 This has been a collective effort. 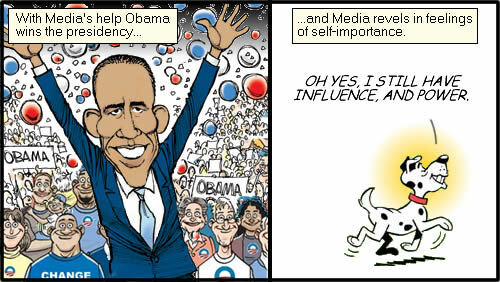 Many thanks to those who contributed. 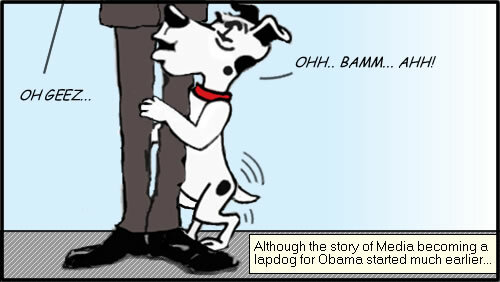 Another one from Damon Bryan Shackelford : Do you smell what the lapdog is cooking? 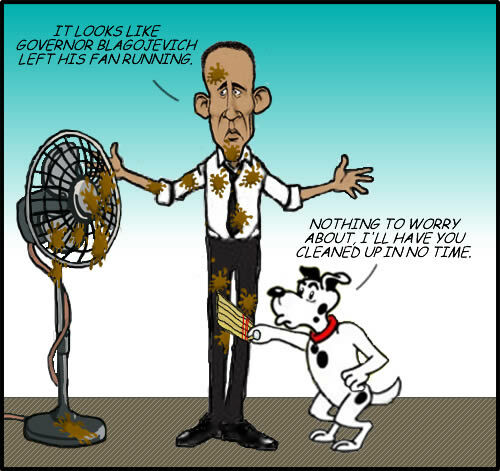 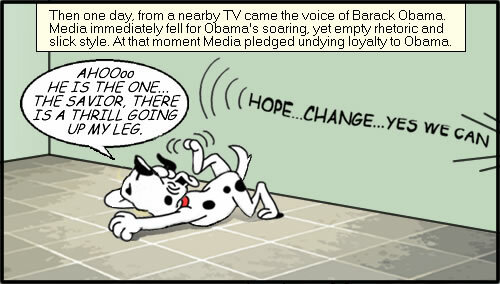 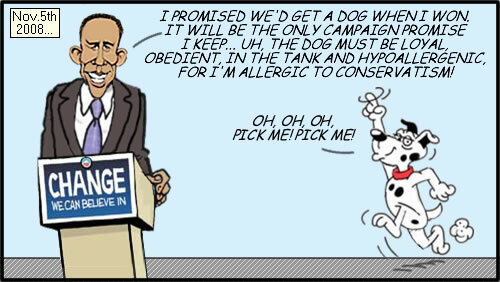 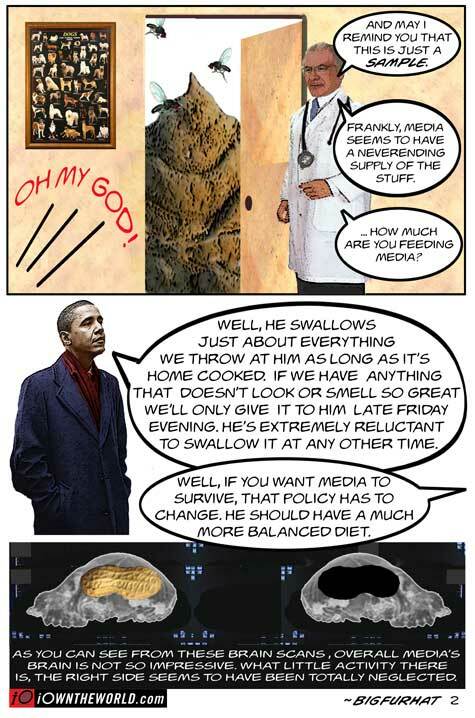 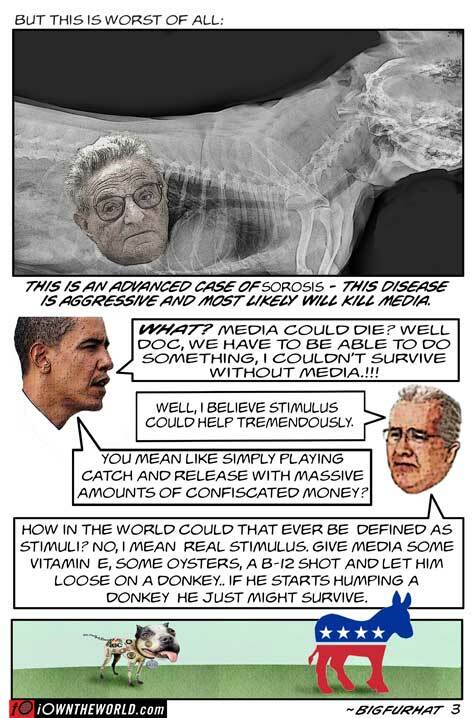 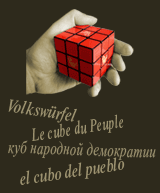 There is a website out there called The People's Cube, which has often published cartoons mocking the lapdog status of President Obama's pet news networks. 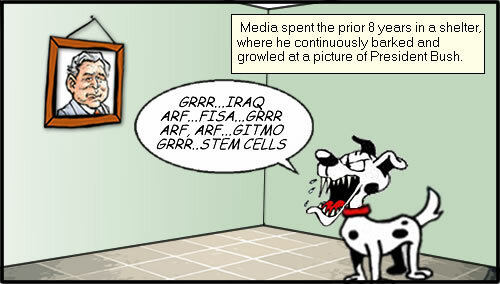 Regrettably, the cartoons from November of 2008 are still holding true in November of 2009. 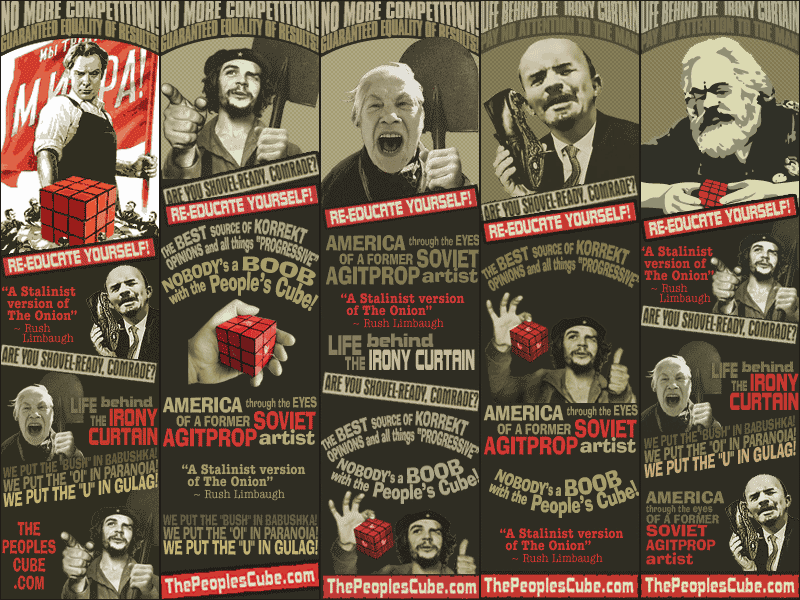 One can only hope that someday soon NBC, CBS, and ABC will snap out of it, and make the Cube's cartoons obsolete.